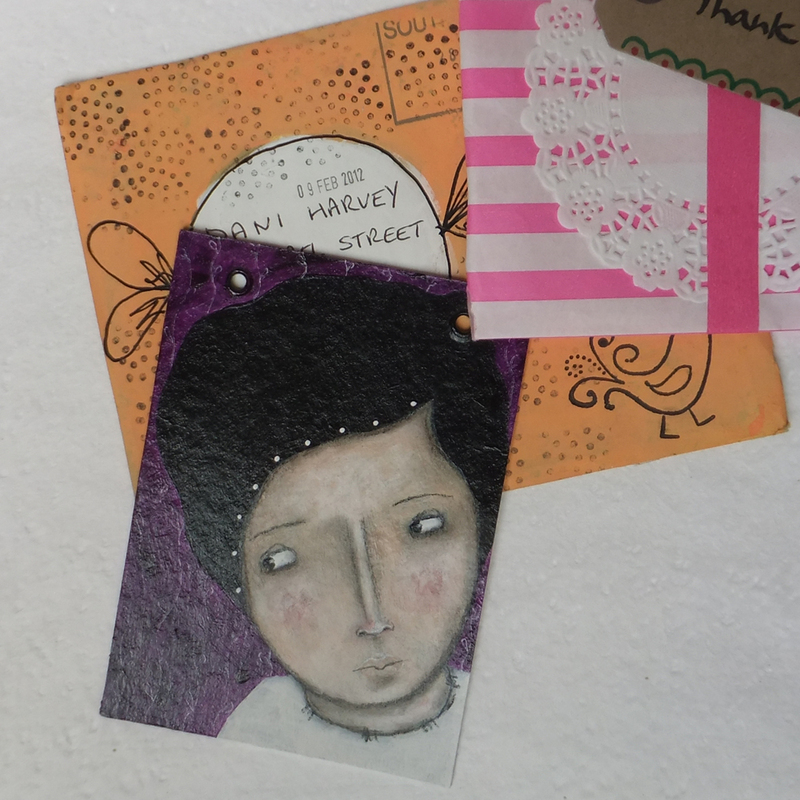 When I saw that The Secret Hermit was holding a mail art swap I had to sign up straight away. I love Micki's art. 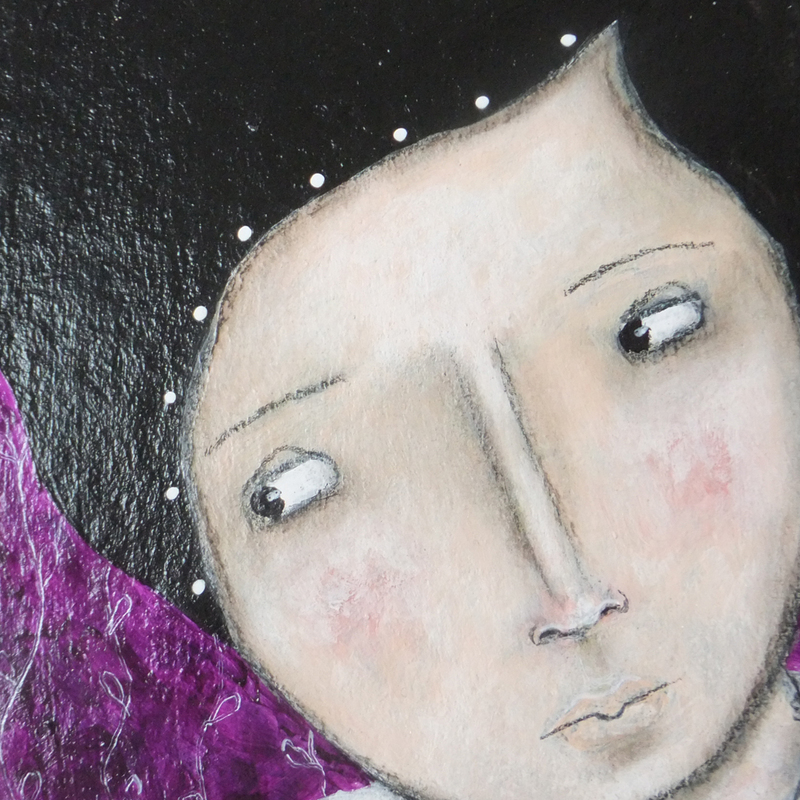 I bought this ACEO last year, I thought it looked beautiful in the pictures on her shop but when I opened it up it honestly took my breath away. 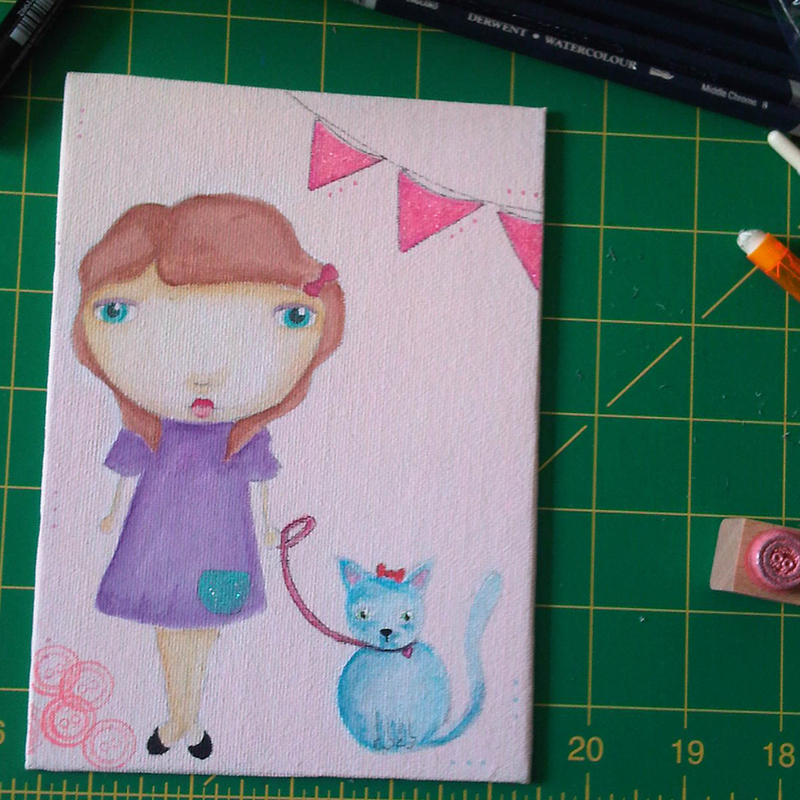 The mail art arrived in a pretty painted envelope wrapped up like a gift in a cute candy striped bag! 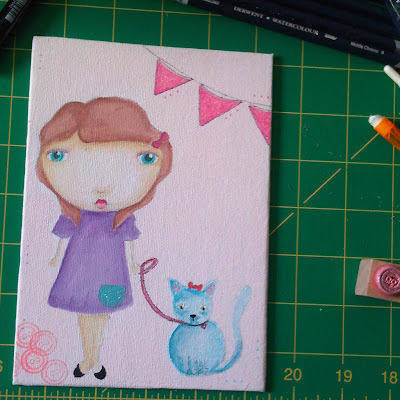 Micki has just posted a huge blog post with all of the art she received in the mail art swap and wowza, you gotta go see it! 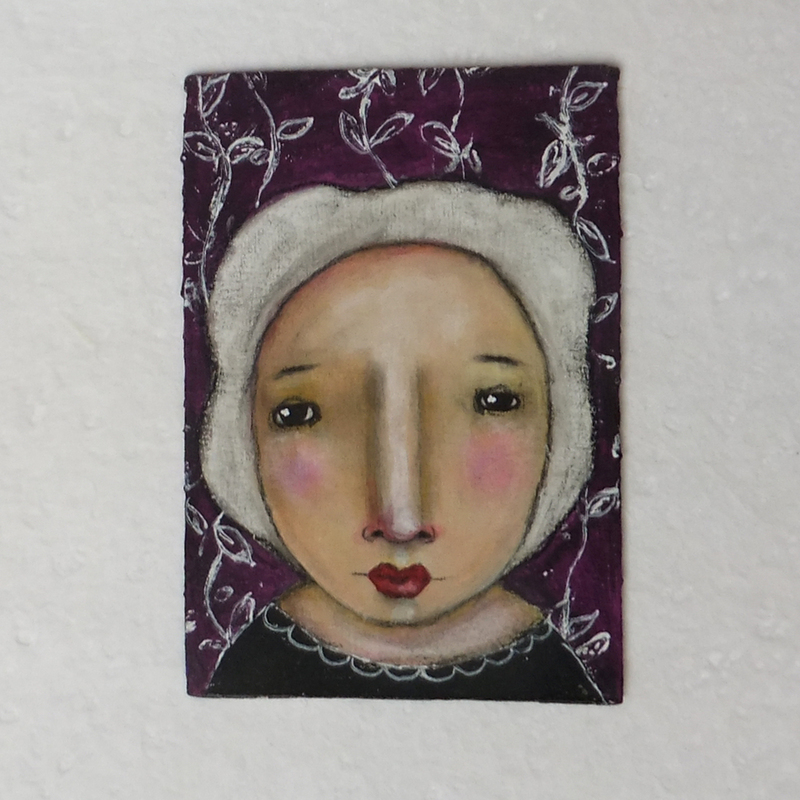 Oh wow some seriously beautiful ACEO's there Dani, such a great mail swap.